Whether you have a long-established training department or are charged with starting one from scratch, it’s good to do a pulse check to see what others in the industry are doing. I’ve compiled a short list of key tools needed to efficiently produce training programs for your company. STORYBOARDING – Storyboards are the communication tool that will be used to document the training course that you are developing. Whether it’s safety, operational, installation or skills training, a blueprint needs to be developed for all stakeholders in a project to agree on. The most common tools used are Word and PowerPoint. Some people prefer to storyboard right in their authoring software such as Articulate Storyline. My preference is Powerpoint because it’s quick and easy, it’s ‘page based”, it’s simple to move things around, and you get a clear view of the amount of content that will be on the screen at one time. You can also put your narration and programming instructions in the Notes view, so it doesn’t clutter your screen content. GRAPHIC PRODUCTION – If all you’re doing is sizing and cropping photos, you can get away with a simple, free program like paint.net. For more full functioned software that is free, gimp is an open source program that works quite well. Although it is costly, the industry standard in graphic design is Photoshop. VIDEO COMPRESSION – Due to the physical nature of the products they manufacture, most industrial training developers incorporate video into their productions. You will need a program that can convert from the numerous different file formats available and also do some very basic clean-up editing. There are many free video compressors, but over the years I have found Sorenson Squeeze to be the best professional software on the market. AUTHORING – Authoring software is the critical tool in your belt. There are dozens of options available. I have found it handy to break it down into the type of programs I am developing. Screen cam – This is software that is primarily based on capturing screen recordings and then enhancing with graphics, call-outs, audio and/or video. This type of authoring tool is used primarily for software operation training, but it can certainly be used for non-software applications. 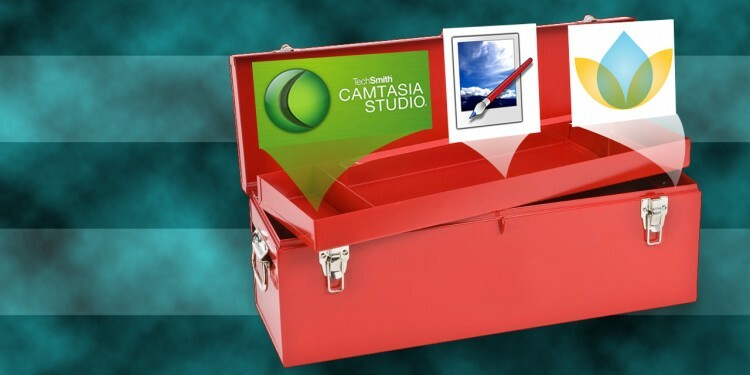 Camtasia has proven to be a solid performer for me, but there are other good options. PowerPoint Based – This type of authoring tool is perfect for e-learning developers who work on small teams or on their own, and who don’t have dedicated developers or programmers. This software, exemplified by Articulate Presenter, is a plug-in, so all ‘authoring’ is done in Powerpoint. Additional add-ons can be purchased to extend the feature set to include quizzes and interactivity. 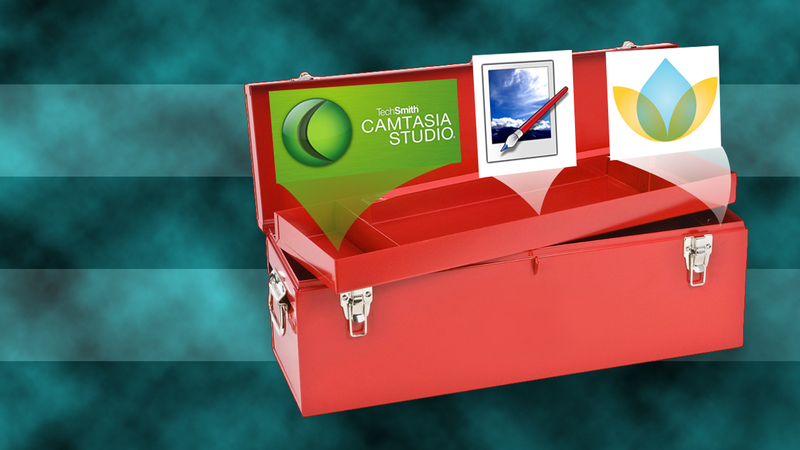 Full Featured – Authoring tools that fall into this category include Lectora, Captivate, Storyline and others. They all offer full feature sets including quizzing, branching, bookmarking, graphic stock libraries , and output to standard SCORM and AICC compliance with an LMS. Due to their robustness, you will need to have dedicated developers trained in these tools. Training departments are notoriously under staffed and overburdened. Use of the software tools outlined above will help streamline your e-learning development process.